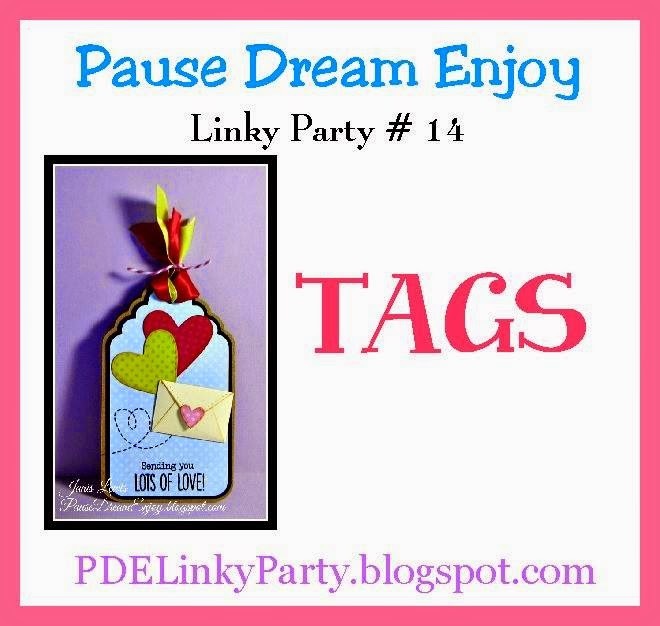 My Crafting Channel: PDE Linky Party #14 "Tags"
PDE Linky Party #14 "Tags"
We were to create a tag. With the holidays approaching fast I decided to make a Halloween tag. She's brewing up something cute! This is so adorable!! I love the glossy accents on the bubbles!! It really makes them pop!! The witch is so cute!! Awesome tag my friend!! I love that your project is so different!! Halloween? Love it!! She is Precious and adore the little bubbles...very CUTE!!! So cute and the glossy accents were such a great touch! Absolutely adorable! Your paper piecing is amazing! Such a fun tag Nana! Such a cute tag! Love the glossy accents. What a super cute Halloween tag!!! Have a great day. This is sooooo cute!!! Love that darling little witch and her bubbling cauldron!